1. Готье СВ, Хомяков СМ. Донорство и трансплантация органов в Российской Федерации в 2015 году. VIII сообщение регистра Российского трансплантологического общества. Трансплантология: итоги и перспективы. Под ред. С.В. Готье. Том VII. 2015 год. М.–Тверь: Триада, 2016. 448 с. Got’e SV, Homyakov SM. 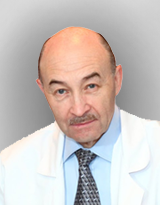 Donorstvo i transplantaciya organov v Rossijskoj Federa cii v 2015 godu. VIII soobshchenie registra Rossijskogo transplantologicheskogo obshchestva. Transplantologiya: itogi i perspektivy. Pod red. S.V. Got’e. Tom VII. 2015 god. M.–Tver’: Triada, 2016. 448 s.
2. Готье СВ, Захаревич ВМ, Погребниченко ИВ, Попцов ВН, Саитгареев РШ, Шумаков ДВ и др. Премия правительства РФ в области науки и техники за разработку и внедрение в практику здравоохранения инновационных научно-технических и организационных решений по повышению эффективности трансплантации сердца. Трансплантология: итоги и перспективы. Под ред. С.В. Готье. Том VI. 2014 год. М.–Тверь: Триада, 2015. 448 с. Got’e SV, Zaharevich VM, Pogrebnichenko IV, Popcov VN, Saitgareev RSh, Shumakov DV i dr. Premiya pravitel’stva RF v oblasti nauki i tekhniki za razrabotku i vnedrenie v praktiku zdravoohraneniya innovacionnyh nauchno￾tekhnicheskih i organizacionnyh reshenij po povysheniyu ehffektivnosti transplantacii serdca. Transplantologiya: itogi i perspektivy. Pod red. S.V. Got’e. Tom VI. 2014 god. M.–Tver’: Triada, 2015. 448 s.
3. Иткин ГП, Волкова ЕА. Разработка методики экспериментальной и клинической апробации импланти- руемых осевых насосов. Трансплантология: итоги и перспективы. Под ред. С.В. Готье. Том V. 2013 год. М.–Тверь: Триада, 2014. 352 с. Itkin GP, Volkova EA. Razrabotka metodiki ehksperimental’noj i klinicheskoj aprobacii implantiruemyh osevyh nasosov. Transplantologiya: itogi i perspektivy. Pod red. S.V. Got’e. Tom V. 2013 god. M.–Tver’: Triada, 2014. 352 s.
4. Мареев ВЮ, Агеев ФТ, Арутюнов ГП, Коротеев АВ, Мареев ЮВ, Овчинников АГ и др. Национальные рекомендации ОССН, РКО и РНМОТ по диагностике и лечению ХСН (четвертый пересмотр). Распростра- ненность хронической сердечной недостаточности в Европейской части Российской Федерации – данные ЭПОХА-ХСН. Сердечная недостаточность. 2006; 7 (1): 112–115. Mareev VYu, Ageev FT, Arutyunov GP, Koroteev AV, Mareev YuV, Ovchinnikov AG i dr. Nacional’nye rekomendacii OSSN, RKO i RNMOT po diagnostike i lecheniyu HSN (chetvertyj peresmotr) Rasprostranennost’ hronicheskoj serdechnoj nedostatochnosti v Evropejskoj chasti Rossijskoj Federacii – dannye EHPOHA-HSN. Serdechnaya nedostatochnost’. 2006; 7 (1): 112–115. 5. Roger VL, Go AS, Lloyd-Jones DM, Benjamin EJ, Berry JD, Borden WB et al. American Heart Association Statistics Committee and Stroke Statistics Subcommittee. Heart disease and stroke statistics – 2012 update: a report from the American Heart Association. Circulation. 2012; 125: e2–220. 6. Lloyd-Jones D, Adams RJ, Brown TM, Carnethon M, Dai S, De Simone G et al. Heart disease and stroke statistics 2010 update: a report from the American Heart Association. Circulation. 2010; 121 (7): e46–e215. DOI: 10.1161/CIRCULATIONAHA.109.192667. PMID: 20019324. 7. Ammar KA, Jacobsen SJ, Mahoney DW, Kors JA, Red- fi eld MM, Burnett JC Jr et al. Prevalence and prognostic signifi cance of heart failure stages: of the American College of Cardiology / American Heart Association heart failure staging criteria in the community. Circulation. 2007; 115 (12): 1563–1570. PMID: 17353436. 8. Hershberger RE, Nauman D, Walker TL, Burgess D. Care processes and clinical outcomes of continuous outpatient support with inotropes (COSI) in patients with refractory endstage heart failure. J. Card. Fail. 2003; 9 (3): 180–187. PMID: 12815567. 9. Hunt SA, Abraham WT, Chin MH, Feldman AM, Francis GS, Ganiats TG et al. 2009 Focused update incorporated into the ACC/AHA 2005 Guidelines for the Diagnosis and Management of Heart Failure in Adults A Report of the American College of Cardiology Foundation/American Heart Association Task Force on Practice Guidelines Developed in Collaboration With the International Society for Heart and Lung Transplantation. J. Am. Coll. Cardiol. 2009; 53 (15): e1–e90. DOI: 10.1016/j. jacc.2008.11.013. PMID: 19358937. 11. Lund LH, Edwards LB, Kucheryavaya AY, Benden C, Dipchand AI, Goldfarb S et al. The Registry of the International Society for Heart and Lung Transplantation: Thirty-second Offi cial Adult Heart Transplantation Report – 2015; Focus Theme: Early Graft Failure. J. Heart Lung Transplant. 2015; 34 (10): 1244–1254. DOI: 10.1016/j.healun.2015.08.003. PMID: 26454738. 12. Shreenivas SS, Rame JE, Jessup M. Mechanical circulatory support as a bridge to transplant or for destination therapy. Curr. Heart Fail Rep. 2010; 7 (4): 159–166. DOI: 10.1007/s11897-010-0026-4. PMID: 20927615. 13. Kilic A, Weiss ES, George TJ, Arnaoutakis GJ, Yuh DD, Shah AS et al. What predicts long-term survival after heart transplantation? An analysis of 9,400 ten-year survivors. Ann. Thorac. Surg. 2012; 93 (3): 699–704. DOI: 10.1016/j.athoracsur.2011.09.037. PMID: 22226494. 14. Kilic A, Conte JV, Shah AS, Yuh DD. Orthotopic heart transplantation in patients with metabolic risk factors. Ann. Thorac. Surg. 2012; 93 (3): 718–724. DOI: 10.1016/j.athoracsur.2011.11.054. PMID: 22305053. 15. Lund LH, Edwards LB, Kucheryavaya AY, Benden C, Christie JD, Dipchand AI et al. The registry of the In￾ternational Society for Heart and Lung Transplantation: thirty-fi rst offi cial adult heart transplant report – 2014; focus theme: retransplantation. J. Heart Lung Transplant. 2014; 33 (10): 996–1008. DOI: 10.1016/j.healun.2014.08.003. PMID: 25242124. 16. Abraham WT, Smith SA. Devices in the management of advanced, chronic heart failure. Nat. Rev. Cardiol. 2013; 10 (2): 98–110. DOI: 10.1038/nrcardio.2012.178. PMID: 23229137. 17. Portner PM, Oyer PE, Pennington DG, Baumgartner WA, Griffi th BP, Frist WR et al. Implantable electrical left ventricular assist system: bridge to transplantation and the future. Ann. Thorac. Surg. 1989; 47 (1): 142–150. PMID: 2643401. 18. Frazier OH, Rose EA, Macmanus Q, Burton NA, Lefrak EA, Poirier VL et al. Multicenter clinical evaluation of the HeartMate 1000 IP left ventricular assist device. Ann. Thorac. Surg. 1992; 53 (6): 1080–1090. PMID: 1596133. 19. McCarthy PM, James KB, Savage RM, Vargo R, Kendall K, Harasaki H et al. Implantable left ventricular assist device. Approaching an alternative for end-stage heart failure. Implantable LVAD Study Group. Circulation. 1994; 90 (5 Pt2): II83–II86. PMID: 7955290. 20. Miller LW, Pagani FD, Russell SD, John R, Boyle AJ, Aaronson KD et al. Use of a continuous-fl ow device in patients awaiting heart transplantation. N. Engl. J. Med. 2007; 357 (9): 885–896. PMID: 17761592. 21. Giridharan GA, Lee TJ, Ising M, Sobieski MA, Koenig SC, Gray LA et al. Miniaturization of mechanical circulatory support systems. Artif. Organs. 2012; 36 (8): 771–739. DOI: 10.1111/j.1525-1594.2012.01523.x. PMID: 22882443. 22. Maher TR, Butler KC, Poirier VL, Gernes DB. Heart-Mate left ventricular assist devices: a multigeneration of implanted blood pumps. Artif. Organs. 2001; 25 (5): 422–426. PMID: 11403676. 23. Pagani FD, Miller LW, Russell SD, Aaronson KD, John R, Boyle AJ et al. Extended mechanical circulatory support with a continuous-fl ow rotary left ventricular assist device. J. Am. Coll. Cardiol. 2009; 54 (4): 312–321. DOI: 10.1016/j.jacc.2009.03.055. PMID: 19608028. 24. Rogers JG, Aaronson KD, Boyle AJ, Russell SD, Milano CA, Pagani FD et al. Continuous fl ow left ventricular assist device improves functional capacity and quality of life of advanced heart failure patients. J. Am. Coll. Cardiol. 2010; 55 (17): 1826–1834. DOI: 10.1016/j. jacc.2009.12.052. PMID: 20413033. 25. Kirklin JK, Naftel DC, Kormos RL, Stevenson LW, Pagani FD, Miller MA et al. Second INTERMACS annual report: more than 1,000 primary left ventricular assist device implants. J. Heart Lung Transplant. 2010; 29 (1): 1–10. DOI: 10.1016/j.healun.2009.10.009. PMID: 20123242. 26. Huber CH, Tozzi P, Hurni M, von Segesser LK. No drive line, no seal, no bearing and no wear: magnetics for impeller suspension and fl ow assessment in a new VAD. Interact. Cardiovasc. Thorac. Surg. 2004; 3 (2): 336–340. PMID: 17670254. 27. Slaughter MS, Sobieski MA 2nd, Tamez D, Horrell T, Graham J, Pappas PS et al. HeartWare miniature axial- fl ow ventricular assist device. Tex. Heart Inst. J. 2009; 36 (1): 12–16. PMID: 19436780. 28. Strueber M, O’Driscoll G, Jansz P, Khaghani A, Levy WC, Wieselthaler GM et al. Multicenter evaluation of an intrapericardial left ventricular assist system. J. Am. Coll. Cardiol. 2011; 57 (12): 1375–1382. DOI: 10.1016/j.jacc.2010.10.040. PMID: 21414534. 29. Kirklin JK, Naftel DC, Pagani FD, Kormos RL, Stevenson LW, Blume ED et al. Seventh INTERMACS annual report: 15,000 patients and counting. J. Heart Lung Transplant. 2015; 34 (12): 1495–1504. DOI: 10.1016/j. healun.2015.10.003. PMID: 26520247. 30. John R, Kamdar F, Liao K, Colvin-Adams M, Boyle A, Joyce L. Improved survival and decreasing incidence of adverse events with the HeartMate II left ventricular assist device as bridge-to-transplant therapy. Ann. Thorac. Surg. 2008; 86 (4): 1227–1234. DOI: 10.1016/j.athoracsur.2008.06.030. PMID: 18805167. 31. González A, Adsuar A, Hernández A, Borrego JM, Gutierres E, Lage E et al. Is an emergency heart transplantation justifi ed? Transplant. Proc. 2006; 38 (8): 2531– 2533. PMID: 1709991. 32. Barge-Caballero E, Paniagua-Martín MJ, Marzoa-Rivas R, Campo-Perez R, Rodriguez-Fernandez JA, Perez-Perez A et al. Usefulness of the INTERMACS scale for predicting outcomes after urgent heart transplantation. Rev. Esp. Cardiol. 2011; 64 (3): 193–200. DOI: 10.1016/j.recesp.2010.08.001. PMID: 21316834. 33. Letsou GV, Myers TJ, Gregoric ID, Delgado R., Shan N., Robertson B. et al. Continuous axial-fl ow left ventricular assist device (Jarvik 2000) maintains kidney and liver perfusion for up to 6 months. Ann. Thorac. Surg. 2003; 76 (4): 1167–1170. PMID: 14530006. 34. Stevenson LW. Clinical use of inotropic therapy for heart failure: looking backward or forward? Part II: chronic inotropic therapy. Circulation. 2003; 108 (4): 492–497. PMID: 12885733. 35. Stewart GC, Brooks K, Pratibhu PP, Tsang SW, Semigran MJ, Smith CM et al. Thresholds of physical activity and life expectancy for patients considering destination ventricular assist devices. J. Heart Lung Transplant. 2009; 28 (9): 863–869. DOI: 10.1016/j.healun.2009.05.016. PMID: 19716036. 36. Hunt SA. Taking heart – cardiac transplantation past, present, and future. N. Engl. J. Med. 2006; 355 (3): 231– 235. PMID: 16855261. 37. Miller LW, Pagani FD, Russell SD, John R, Boyle AJ, Aaronson KD et al. Use of a continuous-fl ow device in patients awaiting heart transplantation. N. Engl. J. Med. 2007; 357 (9): 885–896. PMID: 17761592. 38. Slaughter MS, Rogers JG, Milano CA, Russell SD, Conte JV, Feldman D et al. Advanced heart failure treated with continuous – fl ow left ventricular assist device. N. Engl. J. Med. 2009; 361 (23): 2241–2251. DOI: 10.1056/ NEJMoa0909938. PMID: 19920051. 39. Donneyong M, Cheng A, Trivedi JR, Schumer E, McCants KC, Birks EJ et al. The association of pretransplant HeartMate II left ventricular assist device placement and heart transplantation mortality. ASAIO J. 2014; 60 (3): 294–299. DOI: 10.1097/MAT.0000000000000065. PMID: 24614355. 40. Matthews JC, Pagani FD, Haft JW, Koelling TM, Naftel DC, Aaronson KD. Model for end-stage liver disease score predicts left ventricular assist device operative transfusion requirements, morbidity, and mortality. Circulation. 2010; 121 (2): 214–220. DOI: 10.1161/CIRCULATIONAHA.108.838656. PMID: 20048215. 41. Goldstein DJ, Oz MC, Rose EA. Implantable left ventricular assist devices. N. Engl. J. Med. 1998; 339 (21): 1522–1533. PMID: 9819452. 42. Mandarino WA, Winowich S, Gorcsan J 3rd, Gasior TA, Pham SM, Griffi th BP et al. Right ventricular performance and left ventricular assist device fi lling. Ann. Thorac. Surg. 1997; 63 (4): 1044–1049. PMID: 9124903. 43. Potapov ЕV, Loforte A, Weng Y, Jurmann M, Pasic M, Drews T et al. Experience with over 1000 implanted ventricular assist devices. J. Card. Surg. 2008; 23 (3): 185– 194. DOI: 10.1111/j.1540-8191.2008.00606.x. PMID: 18435629. 44. Kukucka M, Stepanenko A, Potapov E, Krabatsch T, Redlin M, Mladenow A et al. Right-to-left ventricular end-diastolic diameter ratio and prediction of right ventricular failure with continuous-fl ow left ventricular assist devices. J. Heart Lung Transplant. 2011; 30 (1): 64–69. DOI: 10.1016/j.healun.2010.09.006. PMID: 21036066. 45. Matthews JC, Koelling TM, Pagani FD, Aaronson KD. The right ventricular failure risk score: a preoperative tool for assessing the risk of right ventricular failure in left ventricular assist device candidates. J. Am. Coll. Cardiol. 2008; 51 (22): 2163–2172. DOI: 10.1016/j. jacc.2008.03.009. PMID: 18510965. 46. Najjar SS, Slaughter MS, Pagani FD, Starling RC, McGee EC, Eckman P et al. An analysis of pump thrombus events in patients in the HeartWare ADVANCE bridge to transplant and continued access protocol trial. J. Heart Lung Transplant. 2014; 33 (1): 23–24. DOI: 10.1016/j. healun.2013.12.001. PMID: 24418731. 47. Jennings DL, Jacob M, Chopra A, Nemerovski CW, Morgan JA, Lanfear DE. Safety of anticoagulation reversal in patients supported with continuous-fl ow left ventricular assist devices. ASAIO J. 2014; 60 (4): 381–384. DOI: 10.1097/MAT.0000000000000077. PMID: 24658518. 48. Abou el ela A, Balsara KR, Lee A, Joseph SM, Vader J, LaRue SJ et al. Driveline infections in left ventricular assist devices: review of management strategies and their outcomes. J. Heart Lung Transplant. 2015; 34 (4): S214. DOI: 10.1016/j.healun.2015.01.589. 49. Mancini DM, Beniaminovitz A, Levin H, Cantanese K, Flannery M, DiTullio M et al. Low incidence of myocardial recovery after left ventricular assist device implantation in patients with chronic heart failure. Circulation. 1998; 98 (22): 2383–2389. PMID: 9832482. 50. Muller J, Wallukat G, Weng YG, Dandel M, Spiegelsberger S, Semrau S et al. Weaning from mechanical cardiac support in patients with idiopathic dilated cardiomyopathy. Circulation. 1997; 96 (2): 542–549. PMID: 9244223. 51. Farrar DJ, Holman WR, McBride LR, Kormos RL, Icenogle TB, Hendry PJ et al. Long-term follow-up of Thoratec ventricular assist device bridge-to-recovery patients successfully removed from support after recovery of ventricular function. J. Heart Lung Transplant. 2002; 21 (5): 516–521. PMID: 11983540. 52. Drakos SG, Kfoury AG, Stehlik J, Selzman CH, Reid BB, Terrovitis JV et al. Bridge to recovery: understanding the disconnect between clinical and biological outcomes. Circulation. 2012; 126 (2): 230–241. DOI: 10.1161/ CIRCULATIONAHA.111.040261. PMID: 22777666. 53. Yamada Y, Saito S, Nishinaka T, Yamazaki K. Myocardi￾al size and fi brosis changes during left ventricular assist device support. ASAIO J. 2012; 58 (4): 402–406. DOI: 10.1097/MAT.0b013e31825b9826. PMID: 22739784. 54. Zafeiridis A, Jeevanandam V, Houser SR, Margulies KB. Regression of cellular hypertrophy after left ventricular assist device support. Circulation. 1998; 98 (7): 656– 662. PMID: 9715858. 55. Baba HA, Grabellus F, August C, Plenz G, Takeda A, Tjan TD et al. Reversal of metallothionein expression is different throughout the human myocardium after pro￾longed leftventricular mechanical support. J. Heart Lung Transplant. 2000; 19 (7): 668–674. PMID: 10930816. 56. Bruckner BA, Razeghi P, Stetson S, Thompson L, Lafuente J, Entman M et al. Degree of cardiac fi brosis and hypertrophy at time of implantation predicts myocardial improvement during left ventricular assist device support. J. Heart Lung Transplant. 2004; 23 (1): 36–42. PMID: 14734125. 57. Simon MA, Kormos RL, Murali S, Nair P, Heffernan M, Gorcsan J et al. Myocardial recovery using ventricular assist devices: prevalence, clinical characteristics, and outcomes. Circulation. 2005; 112 (9 Suppl): I32–I36. PMID: 16159839. 58. Dandel M, Weng Y, Siniawski H, Potapov E, Lehmkuhl HB, Hetzer R. Long-term results in patients with idiopathic dilated cardiomyopathy after weaning from left ventricular assist devices. Circulation. 2005; 112 (9 Suppl): I37–I45. PMID: 16159848. 59. Dandel M, Weng Y, Siniawski H, Potapov E, Drews T, Lehmkuhl HB et al. Prediction of cardiac stability after weaning from left ventricular assist devices in patients with idiopathic dilated cardiomyopathy. Circulation. 2008; 118 (14 Suppl): S94–S105. DOI: 10.1161/ CIRCULATIONAHA.107.755983. PMID: 18824777. 60. Birks EJ, George RS, Hedger M, Bahrami T, Wilton P, Bowles CT et al. Reversal of severe heart failure with a continuous-fl ow left ventricular assist device and pharmacological therapy: a prospective study. Circulation. 2011; 123 (4): 381–390. DOI: 10.1161/CIRCULATIONAHA.109.933960. PMID: 21242487. 61. Birks EJ, George RS, Firouzi A, Wright G, Bahrami T, Yacoub MH et al. Long-term outcomes of patients bridged to recovery versus patients bridged to transplantation. J. Thorac. Cardiovasc. Surg. 2012; 190–196. DOI: 10.1016/j.jtcvs.2012.03.021. PMID: 22498081. 62. Catanese KA, Goldstein DJ, Williams DL, Foray AT, Illick CD, Gardocki MT et al. Outpatient left ventricular assist device support: a destination rather than a bridge. Ann. Thorac. Surg. 1996; 62 (3): 646–653. PMID: 8783988. 63. Long JW, Kfoury AG, Slaughter MS, Sliver M, Milano C, Rogers J et al. Long-term destination therapy with the HeartMate XVE left ventricular assist device: improved outcomes since the REMATCH Study. Congest. Heart Fail. 2005; 11 (3): 133–138. PMID: 15947534. 64. Rose EA, Moskowitz AJ, Packer M, Sollano JA, Williams DL, Tierney AR et al. The REMATCH trial: rationale, design, and end points. Ann. Thorac. Surg. 1999; 67 (3): 723–730. PMID: 10215217. 65. Kirklin JK, Naftel DC, Pagani FD, Kormos RL, Stevenson L, Miller M et al. Long-term mechanical circulatory support (destination therapy): on track to compete with heart transplantation? J. Thorac. Cardiovasc. Surg. 2012; 144 (3): 584–603. DOI: 10.1016/j.jtcvs.2012.05.044. PMID: 22795459. 66. Drews T, Stepanenko A, Dandel M, Buz S, Lehmkupl HB, Helzer R. Mechanical circulatory support in patient of advanced age. Eur. J. Heart. Fail. 2010; 12 (9): 990–994. DOI: 10.1093 /eurjhf/hfq076. PMID: 20495203. 67. Westaby S, Frazier OH, Banning A. Six years of continuous mechanical circulatory support. N. Engl. J. Med. 2006; 355 (3): 325–327. PMID: 16855280. 68. Daneshmand MA, Krishnamoorthy A, Samsky MD, Felker GM, Pura JA, Lokhnygina Y et al. Comparison of 2-year outcomes of extended criteria cardiac transplantation versus destination left ventricular assist device therapy using continuous fl ow. Am. J. Cardiol. 2015; 116 (4): 573–579. DOI: 10.1016/j.amjcard.2015.05.016. PMID: 26092273.